Mountains to get lost in; valleys to walk through; beaches to build sandcastles on. Wales is diverse and inviting. Boasting three national parks Snowdonia, Pembrokeshire and the Brecon Beacons and some glorious beaches. Stay on a farm, in a yurt or in a log cabin or simply camp to make the most of the outdoors. The Lodge is a self-catering holiday cottage located within the stunning grounds of Stepaside Heritage Park, a former colliery and iron works site that has been redeveloped to provide quality holiday accommodation in the peaceful hamlet of Pleasant Valley. Set amongst picturesque woodland with many scenic walking trails in the area, The Lodge is just a pleasant woodland walk away from the beach at Wisemans Bridge (with a quiet children s play park and picnic spot on the way) and, continuing along the Pembrokeshire coast path, you can also walk to the seaside holiday village of Saundersfoot. The are many activities and attractions nearby including Folly Farm, Oakwood Theme Park and Heatherton World of Adventures and the historic sea-side town of Tenby is just a short drive away. This self-catering holiday cottage enters into the hallway which leads through to the open plan lounge/dining area and kitchen. Large windows allow plenty of light into the accommodation and two sets of French doors lead out onto the spacious balcony area, where there is outside furniture making it the perfect place to relax and enjoy the tranquil surroundings. The comfortable lounge seating is arranged around the cosy fire with FreeSat TV and DVD player above and the dining area comfortably seats 6 people. The modern kitchen area is well-equipped with washing machine, dishwasher, fridge, freezer, wine cooler and electric oven with gas hob. The master bedroom benefits from a TV with DVD and an ensuite shower room with large walk in shower, wc and whb. Bedroom 2 is made up with twin beds. The modern family bathroom comprises bath, wc and whb. This self-catering holiday cottage further benefits from parking for one car (with more parking available a short walk away), and CD player with iPod docking station. Space can be made for a travel cot in the master bedroom (not provided). Pets are welcome. Short breaks available out of main season or where there is late availability - please contact us if you do not see the dates you require. 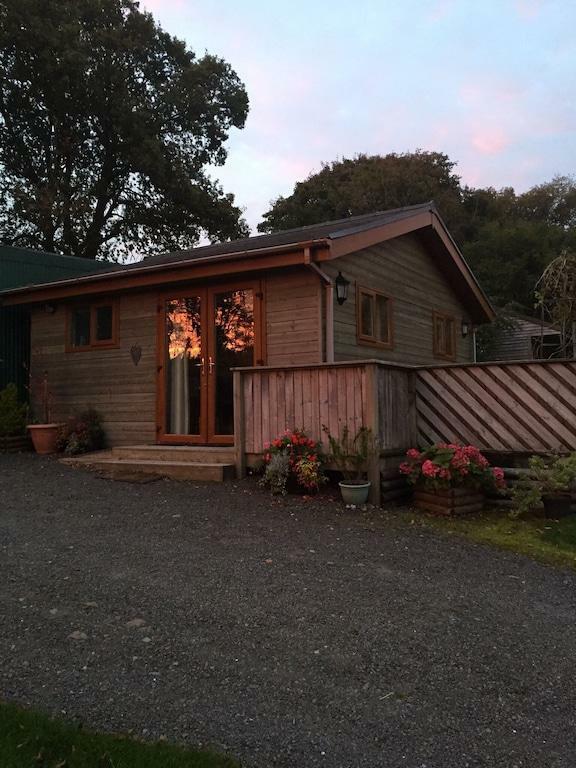 19 Gimblet Rock is a charming lodge situated in the village of Pwllheli, Gwynedd. Hosting three bedrooms; a double with en-suite, and two twin rooms, along with a bathroom, this property can sleep up to six people. Inside you will also find a kitchen/diner, and an open-plan sitting, kitchen and dining area with open fire. To the outside is off-road parking for two cars, and a decked patio on three sides with seating overlooking the bay/marina. 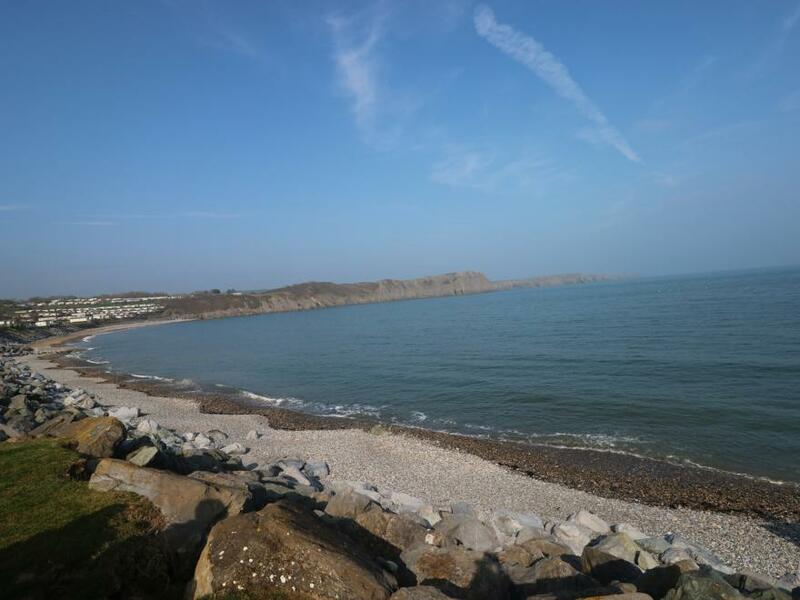 Resting in the wonderful market town of Pwllheli, renowned for its beautiful scenery, 19 Gimblet Rock is a fabulous place to stay in North Wales. 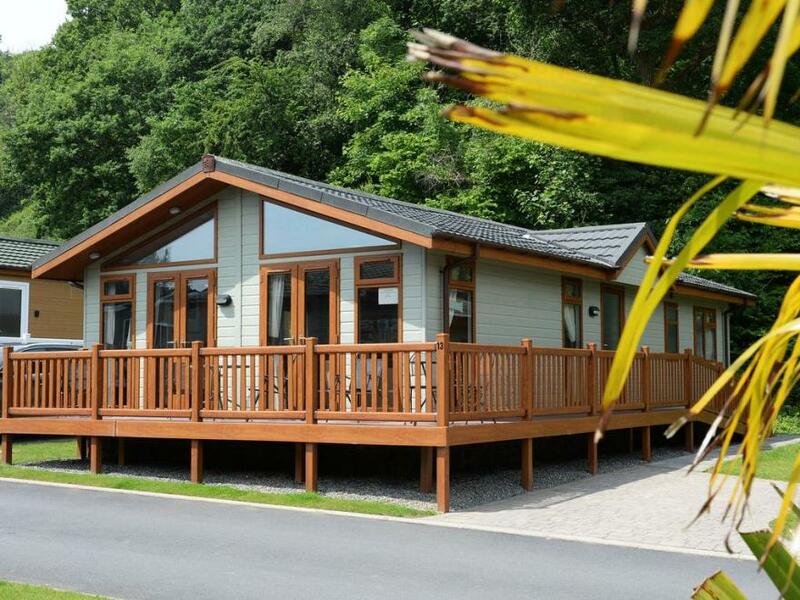 Chalet66(serenity) is located on the the stunning woodlands holiday park, which is a David Bellamy gold awarded nature and conservation park. 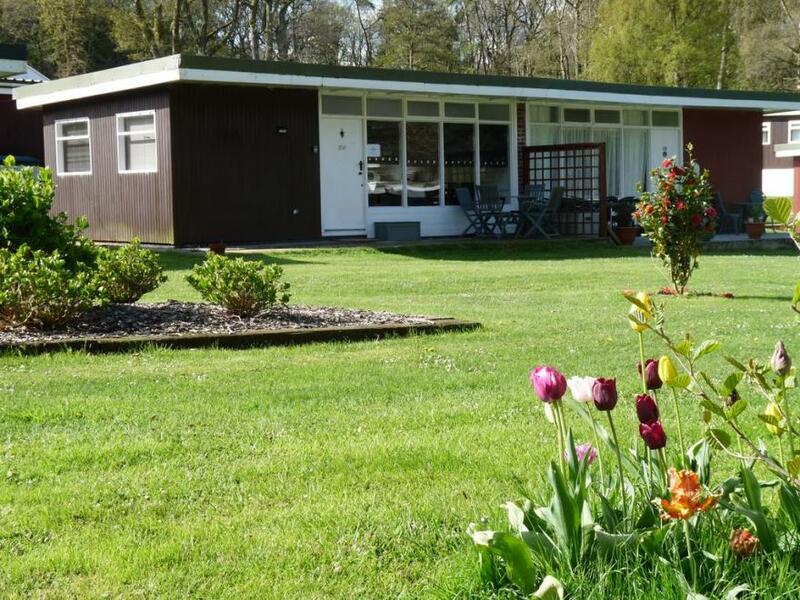 The chalet comes fully equipped with everything you need for your self catering holiday, just bring your food and drink and enjoy the peace and tranquillity that woodlands park has to offer. Chalet 66 (Serenity ) has a fully equipped kitchen including, microwave oven , electric oven, fridge freezer, toaster, pots and pans and all crockery and utensils you could require. Brand new refurbished Bathroomj with toilet, basin, towel radiator and large walk in shower cubicle with power shower 1 double bed room with side table , lamp and built in wardrobe 1 twin room with bedside table, lamp and built in wardrobe . Open plan living and dining room with large leather corner suite, dining table and chairs for 4 people and freeview TV with built in DVD player . 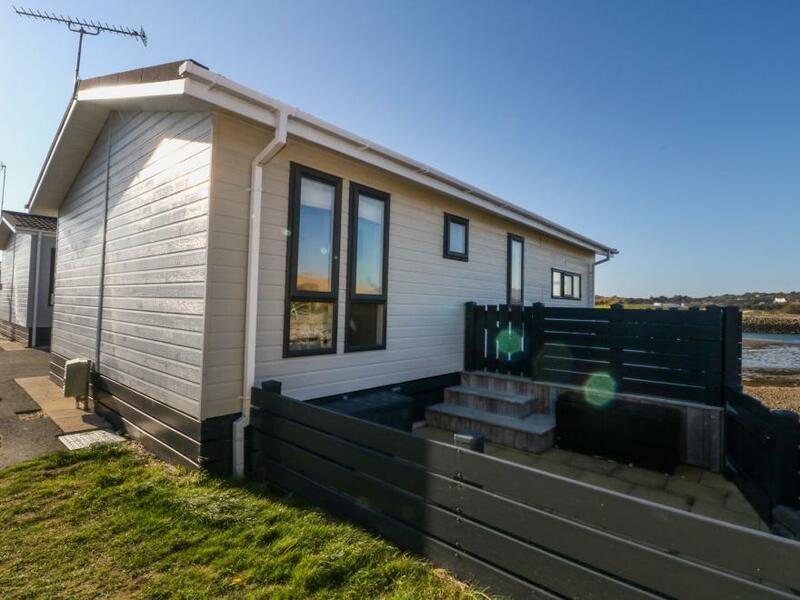 Outside the front of the chalet is your own fully enclosed private patio and lawn area, with patio furniture and sun umbrella for those cosy summer evenings. Chalet 66(serenity) sleeps a maximum of 4 people this includes babies. Well behaved dogs are more than welcome. Nestled on an old quarry track within the Dyfi Valley hillside, amongst giant redwoods and pine trees you will find Little Kestrel Cabin. Sitting on the footprint of an old Welsh Lime Kiln, you are treated to panoramic views along the valley, towards the beautiful beaches of Aberdovey. Walk along the track and pop out on the Dyfi river, jumping trout and lambs surround you with the rolling hills in front. Douglas Fir-clad walls and an eclectic mix of leather, linen, pine and velvet come together to make a cosy, relaxed stay. The Welsh slate topped sink and hand painted units create a wonderful welcome to this delightful cabin. A large farmhouse table, wood burner and two comfy sofas for planning adventures, eating and relaxing. Take a book off the shelf and put a log on the fire, or throw the doors open and take a glass of something cold to enjoy the view across the valley by day and Snowdonia’s star-filled ‘Dark Sky’ at night. Run up a mountain, or snooze amongst the Dunes, a wonderful combination of mountain and sea makes Little Kestrel perfectly placed for a relaxing summer holiday, adrenalin filled adventures or a romantic getaway. Interior & Facilities The Cabin is accessed through the French doors, on the raised deck, where you will find the kitchen with Nespresso coffee machine & pods waiting to welcome you. Sit at the large farmhouse table and plan a route, or sink into the sofa and take in the view. There are three bedrooms, the master has a king-sized bed, dressed in Egyptian cotton on a marshmallow soft duvet and sprung mattress. French doors open onto the enclosed Rhododendron garden to the rear, a serene space to sit amongst the trees. The second double bedroom has a Shabby-chic bygone feel, with Eileen Soper’s 50’s prints and a charming cast iron double bed that’s bound to ensure a wonderful nights sleep. The third is a single bedroom, wonderfully cosy with up-cycled picnic table bed head, step ladder side table, and 60’s G-plan drawers. The smallest room, with stunning views to compensate, is available upon request. The beautiful bathroom has a seaside feel, painted boards in a pale heritage blue with walk-in shower and heated towel rail. Facilities include a washer-dryer; dishwasher, induction hob, oven, fridge with freezer compartment, microwave and Nespresso coffee machine. Bluetooth Sound system, Smart TV, Netflix, superfast broadband & WiFi. The cabin is fully heated throughout with programmable electric radiators, 24-hour hot water on demand, a wood burning stove and all beds have sleep safe electric blankets. Outside Open the kitchen doors and walk out onto the elevated deck, put your coffee and Welsh cakes on the top rail and take a breath. Mighty oaks to the left, tree-lined quarry road to the front and Dyfi estuary to right with Kites, House martins, and Buzzards above. The sitting room French doors lead out onto the 18th century Lime Kiln, take a cushion and sit on the reclaimed oak whiskey barrel Adirondack chairs. 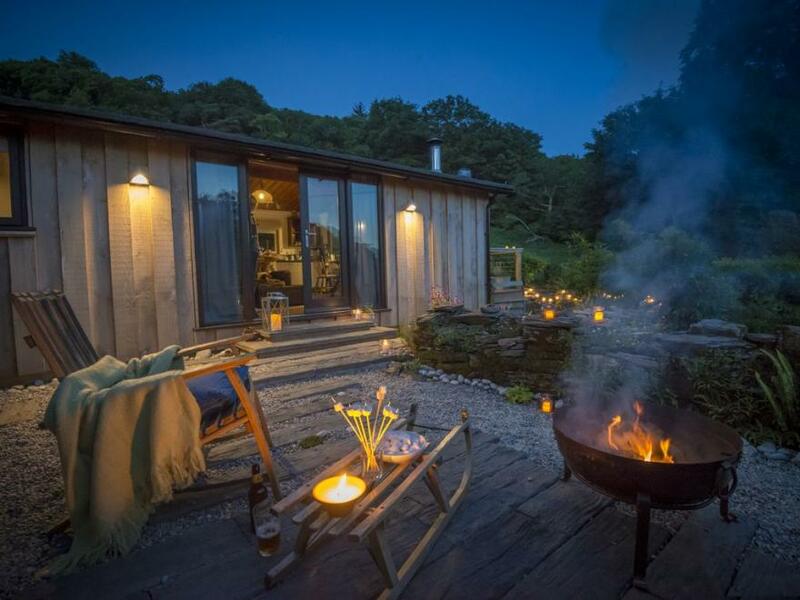 Enjoy a barbecue, or cosy around the fire pit as night falls, and gaze at the stunning stars in Snowdonia’s light pure sky. A five minute walk at the bottom of the track will find you on the banks of the River Dyfi, with hills and sheep abound and plenty of places to stop along the way to picnic and watch the jumping trout. Situation and Location Kestrel Cabin is situated on the outer edge of a private Lodge Estate, just outside Pennal and has parking for two cars. Ideally placed, within Snowdonia National park, and within easy reach of Cardigan Bay’s glorious beaches and its breathtaking mountain views. The closest town, just three miles away is Machynlleth, the ancient capital of Wales, it Boasts Wales’ own MOMA Art Gallery, museums, pubs, cafes, supermarket and a fantastic Wednesday market selling local foods. Machynlleth is also host to the Comedy festival in May. Go further along the coast road and you will be in Borth, call into the Cors Dyfi RSPB Dyfi Osprey project within the nature reserve on the way. Then onto towards the seaside town of Aberystwyth. If you are staying local then a 20-minute walk to The Riverside gastropub in Pennal will provide good food, local ale and excellent company at the bar, or if you prefer, just stay in and bathe in the wonderful peace and quiet of this charming wooden cabin. Beaches Take a left and pop out onto the coastal road that winds along the estuary towards Aberdovey, 6 miles away, here you will find a delightful seaside town with handmade ice cream, buckets for crabbing, great Deli diners and the acclaimed Seabreeze restaurant. The sand dune capped beach towards the North side is 5 miles long and dog-friendly all year round. Aberdovey also boasts an 18 hole Links golf course that has hosted national competitions. Cycling and mountain biking Wales is a keen advocate for cycling and have a purpose built Climachx trail mountain bike course in Corris, just 8 miles from the cabin, bring your own bikes and keep them stored safely below the deck or hire bikes at Dolgellau (pronounced Dolgethlie) If your cycling errs towards a genteel stroll then the Mawddach trail won’t disappoint, at 30 miles long the scenery is breathtaking and if you schedule a stop at the George III on the Estuary you can enjoy a pub lunch and drink ale from the local ‘Moose’ microbrewery. There is a lot to do, or if you’d rather, …nothing at all. 33 Y Noddfa is a detached cottage located on a holiday park, 4.5 miles from Pwllheli in Gwynedd. Hosting three bedrooms; two doubles (one with en-suite), and a single, along with a bathroom, this property can sleep up to six people. Inside you will also find a kitchen/diner, and a sitting room. To the outside is off road parking, and a decked patio with furniture and a barbecue. Situated in a pleasant setting with much to explore nearby, 33 Y Noddfa is a wonderful retreat in a pleasant part of Wales. 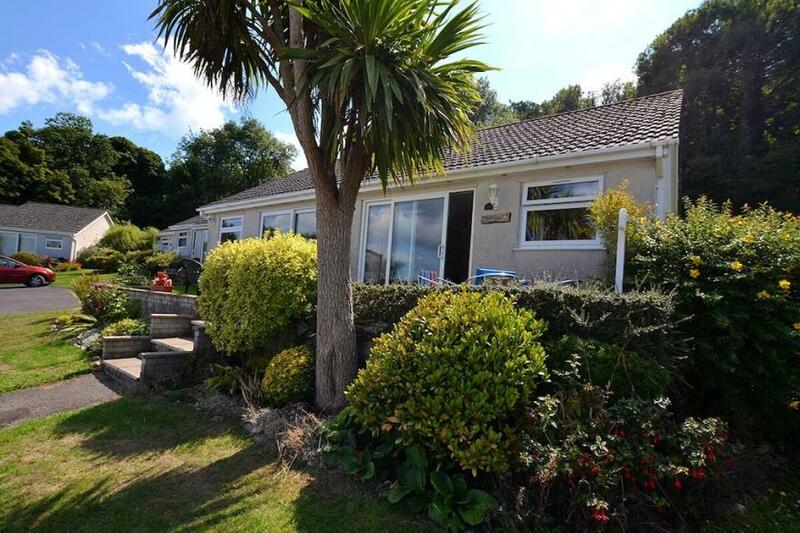 Just 8min walk to sandy Oxwich Bay, newly renovated chalet provides the perfect/affordable accommodation, ideal for four adults or a family with two children. Enclosed grassed areas provide a safe & friendly environment for kids. Chalet is located at the top of the park, bedrooms looking out to woodland. Breathtaking views of Three Cliffs Bay and Oxwich Bay Dunes from the patio, where you can sit down and relax in this truly idyllic setting. You will not be disappointed! Dining Area Wide dining table with 4 chairs. TV Area 32” LCD TV with all freeview channels, DVD player. Kitchen Modern and well equipped with all the essentials: built in oven/hob, large under-the-counter fridge with freezer compartment, kettle, microwave oven, toaster and all pots & pans, cooking utensils, glasses, cutlery, etc.. Bathroom Bath tub, overhead shower, electric towel rack, wash basin and w.c. Twin Bedroom Two single beds, wardrobe, wall-mounted electric heater. 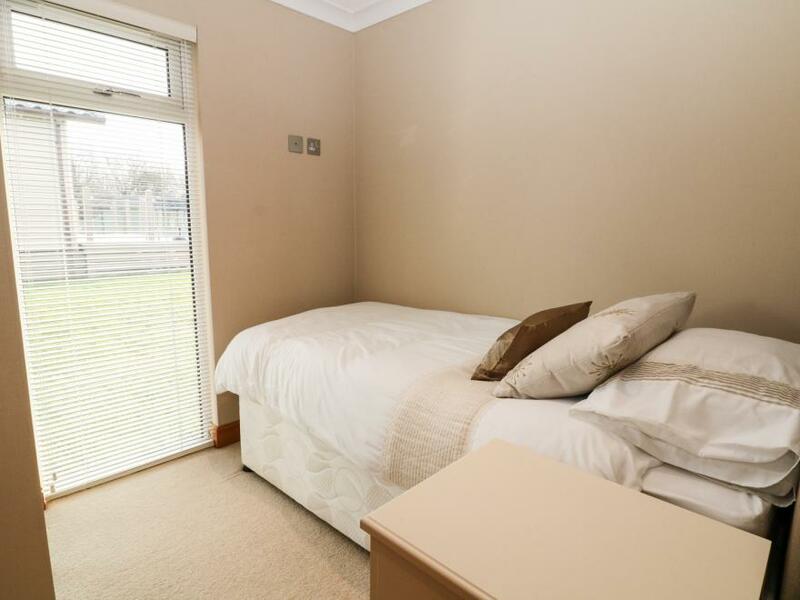 Double Bedroom Double bed, wardrobe, chest of drawers, wall-mounted electric heater. PLEASE NOTE All duvets and two pillows per guest will be provided. Guests need to bring all bed sheets, duvet covers, pillow cases and towels. THESE WILL NOT BE PROVIDED! Electricity is included, no extras. Hair dryer, iron/ironing board, vacuum cleaner, all cleaning products, washing up liquid, scourers and rubbish bags provided. Allocated parking for one vehicle. Strictly no smoking inside property. No pets allowed. Bayview Oxwich (aka Oxwich Leisure Park) is best suited for families and holiday makers looking for peace and quiet, not ideal for under 25s looking for a thrill. Delightful 4* rated Log Cabin set on a hill in the swansea valley. Self catering accommodation. Sleeps 2 people. 1 bedroom with a king size bed, kitchen with full size oven and hob, shower room with wc. Living area has a tv/dvd and views of the valley and village of Pontardawe. Ideal for visiting Swansea, liberty Stadium, Swansea University, Mumbles and Gower beaches. We are also only 20 minutes away from the National Showcaves of Wales at Dan yr Ogof and the Brecon Beacons National Park. Walkers and cyclists are welcome. 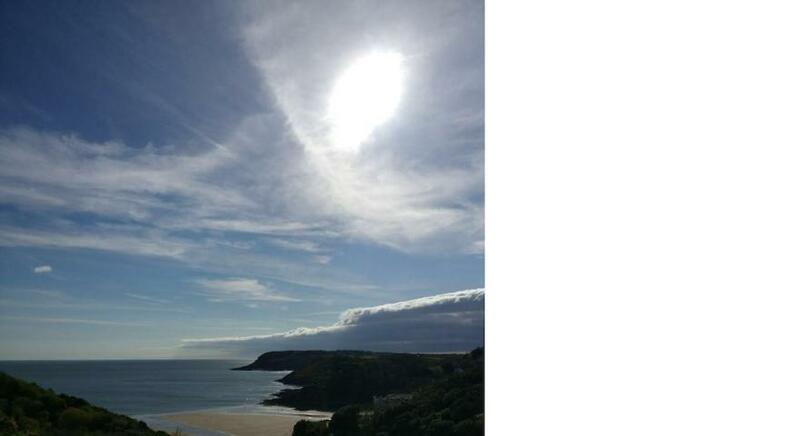 611 Atlantic View is situated near Tenby in Pembrokeshire. It provides three bedrooms including a double with an en-suite, a further double and a bunk room, there is also a family bathroom, the property can sleep up to six people. Its interior also comes with a kitchen, a dining room and a sitting room with a fire. To the outside there is off road parking, a gravel area with furniture and a decking with furniture. 611 Atlantic View is a welcoming lodge with the most incredible sea views, perfect for a beach holiday. Summary Good discounts off our nightly rates for stays of 7 nights or more.. This well-appointed Chalet is set on a small peaceful site amongst woodland. The local beach and harbour town of New Quay is only 5 minutes away. The chalet has its own patio area, sleeps up to 4 people and is dog friendly with up to 2 dogs included free. Looking for Larger family groups? we have 2 other chalets very close by (on the same site) Little Oak 82 and Little Ash 95 Detail Located close to car parking, and with the children’s play area nearby, the Little Oak Chalet 82 is situated in a peaceful position on Woodlands Park. Offering a double bedroom, twin bedroom, bathroom with shower enclosure. It has an open plan kitchen/living & dining area. The chalet offers a welcoming accommodation, it has heating and is perfect for any time of the year. Lovingly presented and styled, its interiors are neutral but inviting The Chalet comfortably sleeps up to 4 people, it has a double room and another bedroom with twin beds. The neutral colour scheme provides a warm and relaxing atmosphere. There is a good size bath room with a toilet, hand basin and shower enclosure. The living room has a sofa’s to relax on, TV with DVD and Bluetooth wireless music docking station allowing you to relax and unwind. The dining table can seat four comfortably. The kitchen is equipped with everything you need to cook for yourselves whilst staying if you choose to do so or enjoy the local pubs and restaurants in the nearby coastal towns. Outside is a small patio area for you to enjoy and take in the peaceful surroundings that woodlands has to offer. Woodlands Park are proud to have won the prestigious David Bellamy Conservation Gold Award 2018 - look out for the B&B Bee & Bug insect hotels around the park. ‘Simply Welsh’ at Woodlands Park, opening for Easter 2018, is a farm shop/licensed cafe selling the wonderful food available in this area; ideal for stocking up. They will also be offering a range of frozen homemade meals to take away. Simply Welsh will also be a licensed café selling home cooked meals where you can enjoy a meal and a drink and before a stroll back to your Chalet Retreats chalet. If you are looking for more accommodation for a larger family getaway. We have 2 other chalets all close by so we can accommodate larger family groups. 2 bedrooms, I with double bed one with 2 single bunks Open plan lounge/diner Compact kitchen with cooker, microwave, dishes, cutlery, pots, pans, Large private outdoor space with decking, seating, clothes line etc Moments from wonderful Caswell Bay, with its golden sand, safe rock pools and surfing opportunities 2 miles from picturesque village of Mumbles, with eateries, shopping and wonderful bay views.